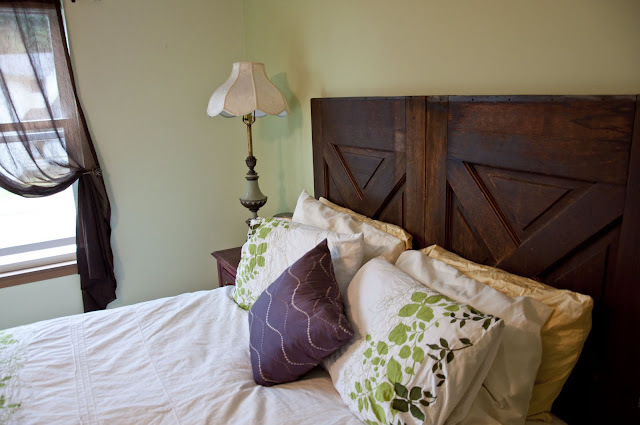 Rootandblossom: Mounting Door Headboard: $10 Bedroom Makeover! 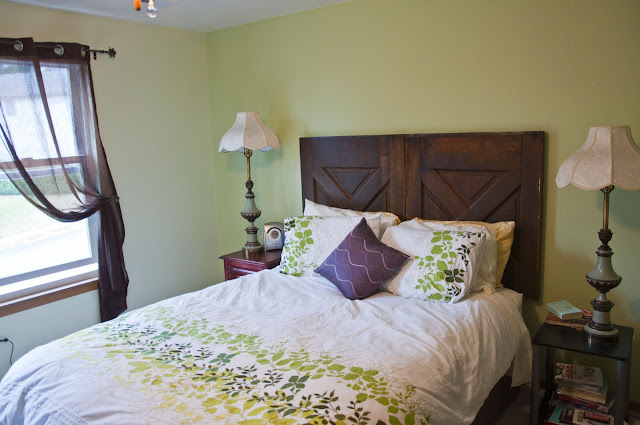 Mounting Door Headboard: $10 Bedroom Makeover! 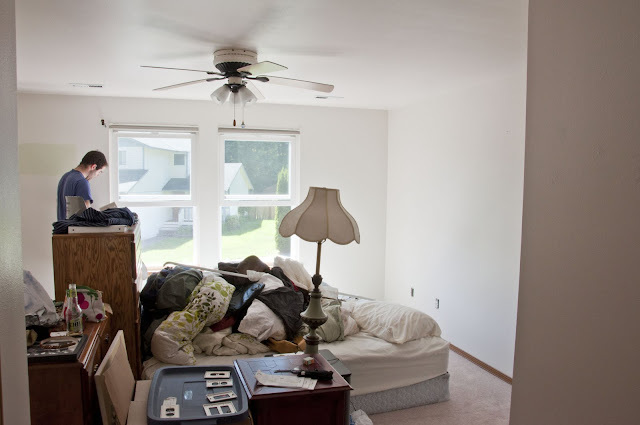 If you remember, last month I shared how our bed (for the last year of our marriage and apparently all through Chris's college career) consists of no more than the mattress sitting on the box spring (check it out here). Well ladies and gents, we are moving up in the world. 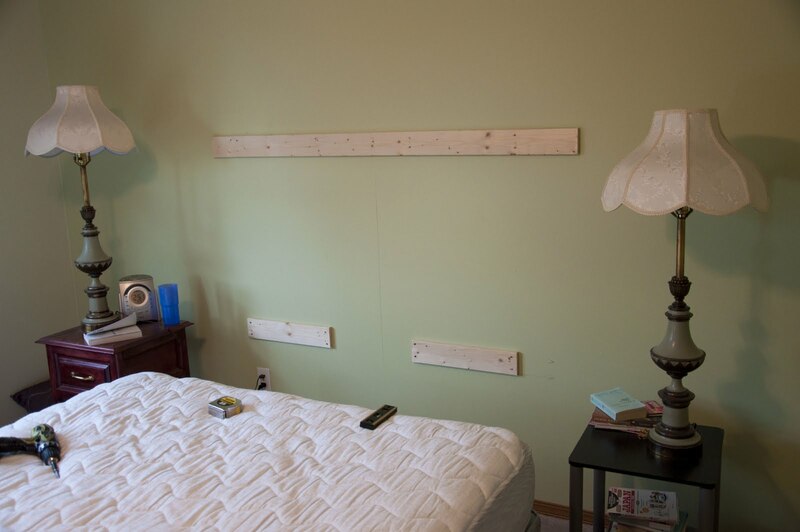 All it took was a couple bucks worth of supplies, a drill, and a level. This is a DIY project for anyone! 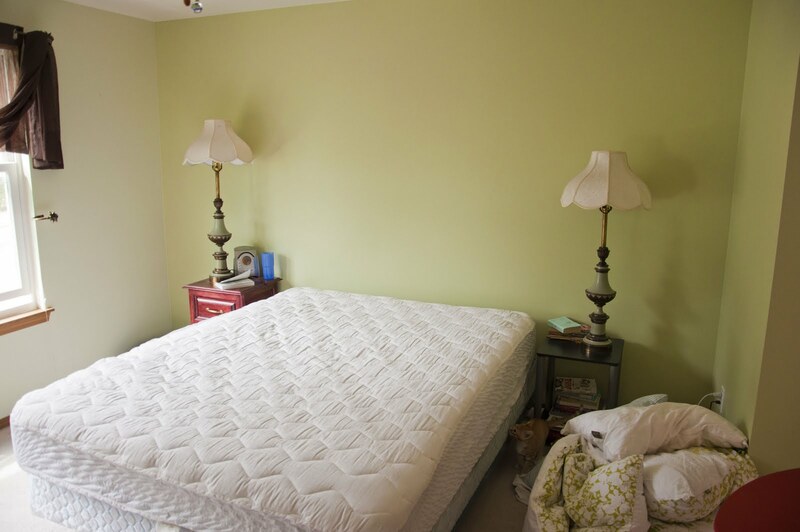 Our room after we moved in but before we painted... Actually at the beginning of the painting process here! Well lookie here! That is off the floor! All thanks to a metal bed frame for free from Craigslist! Christopher planning the project in his head. Any guesses as to what is in front of him? 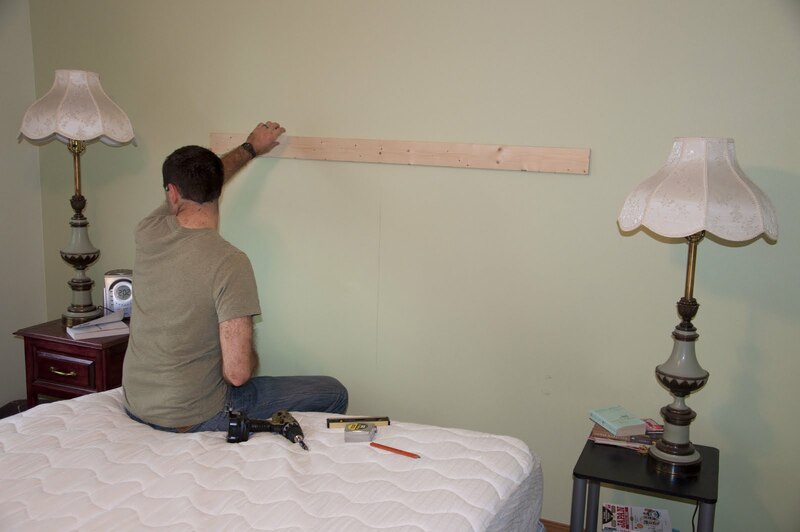 Mounting a support for our DIY headboard. One side finished! I helped with the level. Any ideas yet? Phew! Those were heavy to hold and screw up! Figured it out yet? 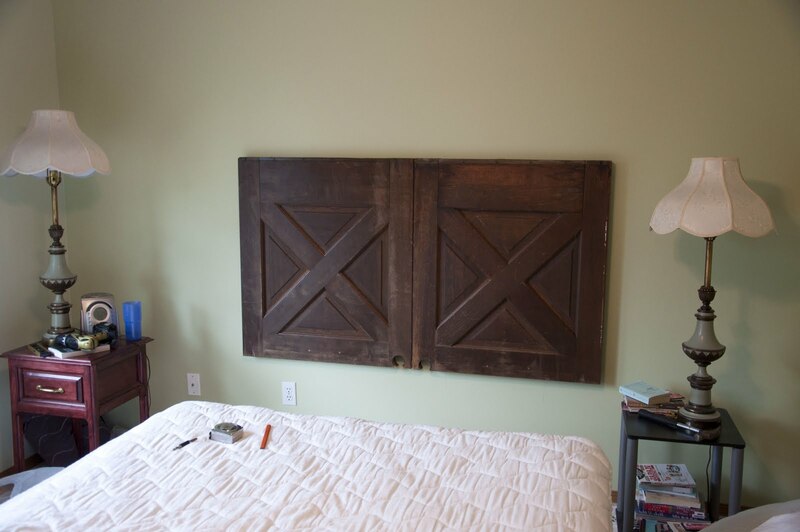 They are the bottoms of two old solid wood doors! We love our new look, especially the wonderful cost of it! Total supporter of being thrifty! Have you made any fabulous discoveries recently? Do tell! Wow, that is why you've got to love Craigslist! It looks great...good job! Wow...totally cool. I need to do something similar for grandsons room. 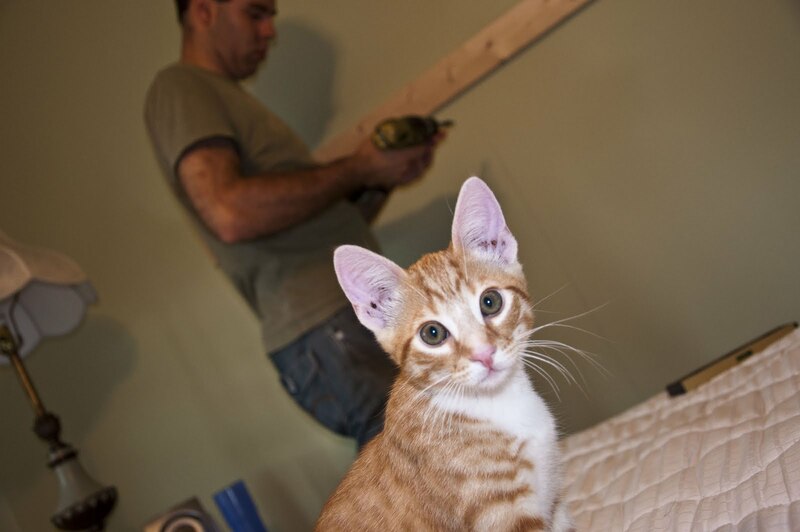 He has the rest of the components already just need to put together a headboard. Ive seen this done on plenty of DIY shows but haven't done it yet. You've inspired me! BTW...this is Mary Watson from JP! Good Job, I am really impressed. What a economic makeover, loved it. Thanks Ashu! We absolutely love it! The head board really transformed the room! 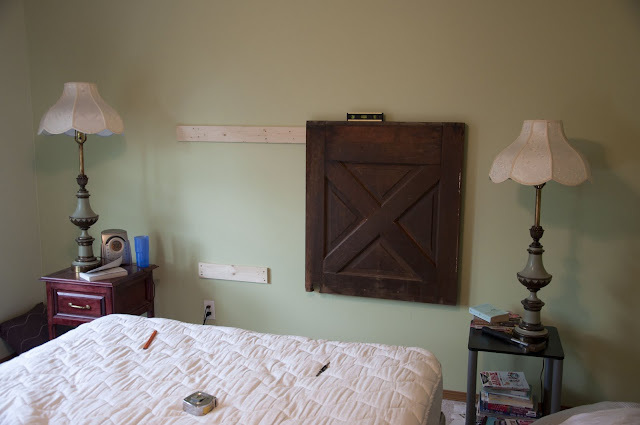 This is a neat idea for a head board:) Thanks for sharing!!! That looks awesome - love it! 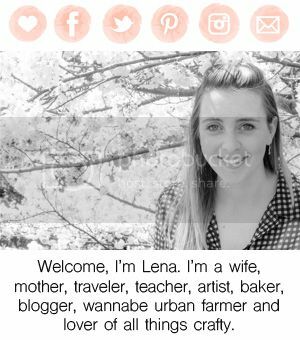 I would love for you to come by and link it up to my Creative Inspirations linky party happening now! I would love to have you there! Will do! Thanks for the lovely offer! Beautiful job! Featired you today! Come and have a look and grab a featured button while you are there! Thanks for coming by - please come by again!